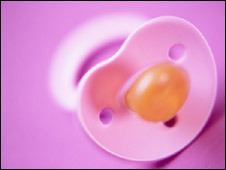 The rate of illegitimate births in the British population is much lower than many people believe, a study says. It suggests an oft-quoted figure of one in 10 for the number of children fathered illegitimately is a myth. The real number is more likely to be less than one in 25, researchers say. The analysis looked at the connection between surnames and unique signatures on the male, or Y, chromosome in a sample of 1,678 British men. The study by Mark Jobling and Turi King at the University of Leicester was funded by the Wellcome Trust and is published in the journal Molecular Biology & Evolution. Referring to the one in 10 figure, Professor Jobling told BBC News: "I think it is an urban myth. But it is very often said." He said he often asked audiences what they thought the real figure was when he gave talks, and the rate of one in 10 came up again and again. "What we show is that it is likely to be much lower than that. If you look directly at families without any prior suspicion of non-paternity, then you find a value of about 1% or 2%." Hereditary surnames were introduced to Britain by the Normans at the time of the conquest. The Y chromosome is a package of genetic material that, like a surname, is inherited from father to son more or less unchanged. 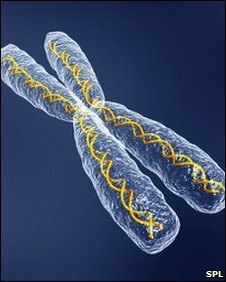 But over time, this chromosome accumulates small changes in its DNA sequence, allowing scientists to study the relationships between different male lineages. It follows that men with the same surname might have very similar Y chromosomes. But adoptions, infidelity, name changes and multiple founders for one surname can cloud the picture. However, for the 40 surnames included in the sample, the results show a strong relationship between a man's surname and the characteristic markers carried on his Y chromosome. This suggested many British men who share a surname also share a common male ancestor in the last few hundred years. Further, the relationship gets stronger the rarer the surname is. This fact allowed the researchers to estimate the probability of "non-paternity", or illegitimacy, among men who share a particular surname. Men with common surnames, such as Smith, were no more likely to have such a common ancestor than men chosen at random from the general population. But men with rare surnames such as Attenborough, Haythornthwaite, Herrick, Stribling and Swindlehurst tended to have Y chromosomes that were very similar, suggesting a common ancestor within the past 700 years. "Attenboroughs essentially form one big family of distant relatives," said Dr King. "The Y chromosome type was the same even across spelling variants, which confirms that the spellings of names were formalised only relatively recently." When they compared these patterns with data from Ireland, they found a higher proportion of men with common surnames, such as Ryan, O'Sullivan and O'Neill, showed common ancestry. However, Professor Jobling cautioned against assuming that current patterns reflected the early histories of surnames and the men who founded them. Over several generations, some male lineages may die out altogether, while some men have better reproductive success than others - meaning their lineages become more common. This phenomenon is known as drift. Major historical events such as the Black Death and the industrial revolution could also have affected the picture. So assuming that names such as Attenborough were only founded by one person could be a mistake, said Professor Jobling. Simulations carried out by the researchers showed that the chance of one male lineage surviving from a single founder through 20 generations was just 9.6%. The study also uncovered evidence of African ancestry in some white Britons. About 39% of men with the surname Revis who participated in the study and 10% of men with the surname Bray carried a type of Y chromosome normally found in Africa. The practice of using hereditary surnames filtered down from Norman noble families to all classes of society so that by the fourteenth century people in many classes had surnames and by the sixteenth century it was rare not to have one.